Can Captain Marvel travel time? Samuel L. Jackson may have just revealed how Captain Marvel appears in Avengers: Endgame. According to a story from Comic Book Movie, Jackson alludes to Captain Marvel’s potential ability to travel time. As you may already know, there are inconsistencies between the timelines of the character’s standalone film, Captain Marvel and Avengers: Endgame. While Captain Marvel takes place in the ‘90s, many fans are confused about how Captain Marvel will make her way to the present for the Avengers installment. 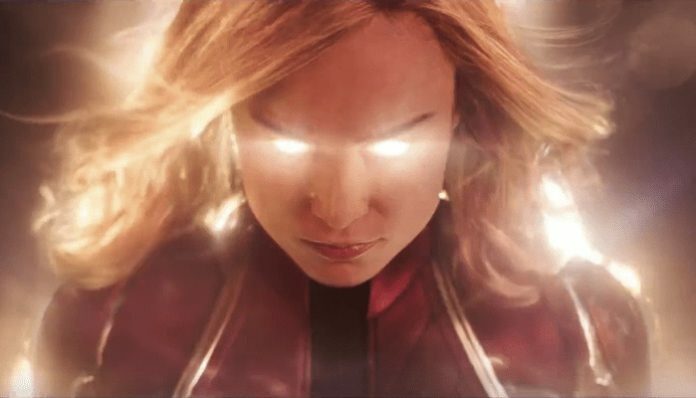 In the story, Jackson suggests that Captain Marvel uses her special power to return to the franchise. If Captain Marvel really does have the ability to travel time, it would explain how she didn’t age. Additionally, it may also explain her 25-year hiatus. Captain Marvel comes to theaters March 8, 2019, and it will indeed include late Marvel legend Stan Lee in a cameo. You can watch the trailer for Captain Marvel below. However, Samuel L. Jackson isn’t the only one notorious for leaking crucial Avengers information. Recently, Don Cheadle claimed that he would no longer do on-camera interviews with Mark Ruffalo because he often spoils major plot points. In other Endgame-related news, a mysterious synopsis appeared on Rotten Tomatoes. However, after Screen Rant reached out to Disney, the production company confirmed that the synopsis was not official. Avengers: Endgame will hit theaters April, 26. If you haven’t yet, you can watch the trailer for the forthcoming film below. What do you think of Jackson’s suggestion? Sound off in the comments below.